The White Houses and Lucky Us author on her book-club offering, favorite travel books, and strategy for the (hypothetical!) one-genre-apocalypse. Amy Bloom is the author of 7 novels, including National Book Award finalist, Come to Me, A Blind Man Can See How Much I Love You, which was nominated for the National Book Critics Circle Award and Lucky Us, which was a New York Times bestseller. She writes deeply affecting novels laced with humor, heartbreak, and love and the characters she creates are unforgettable. If you’ve been aching for a new Amy Bloom novel, you’re in luck. Her latest, White Houses, is historical fiction and centers on journalist Lorena Hickok, “Hick,” who has reinvented herself from a dirt-poor South Dakotan girl to a writer reporting on Franklin Roosevelt’s first Presidential campaign. It is then, in 1932, that she meets Eleanor Roosevelt, and the two develop a fast friendship and then a deeper intimacy and lasting love. Hick moves into The White House, taking on the role of Eleanor’s “first friend,” and eventually ascending to a job in the Roosevelt administration. 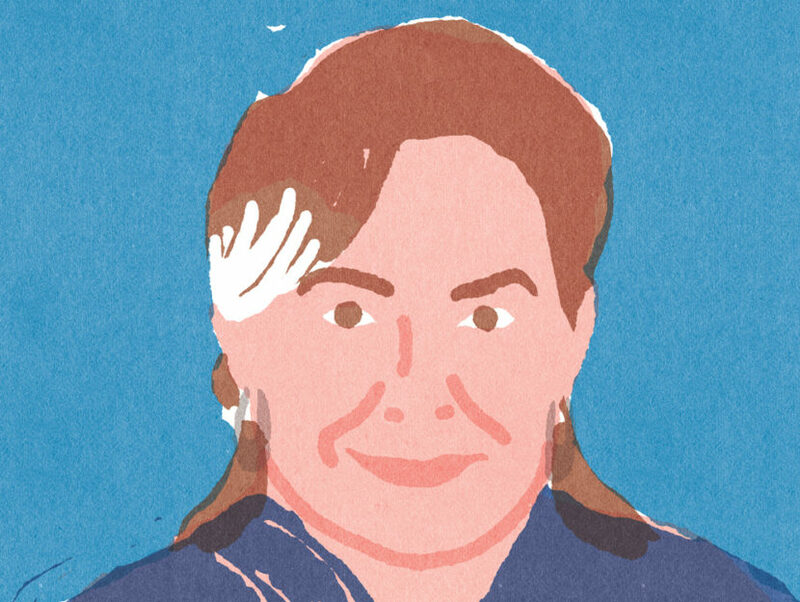 Her relationship with both President and First Lady are fascinating and Amy Bloom plumbs the depths of these complex relationships with dexterity. We asked Amy Bloom our 8 Great Questions and she told us about her favorite trilogies, what books are on her nightstand, and the crowd-pleasing food she’d bring to book club. Philip Pullman's La Belle Sauvage, Zadie's Smith's Feel Free, and Denis Johnson's The Largesse of the Sea Maiden. My nightstand is pretty pleased with itself. Right this minute, I'm reading The Master by Colm Toibin, because I completely failed to read it—or even open it—in 2004, and though I don't get there fast, I do usually get there. Robertson Davies' The Deptford Trilogy—filled with incident and beautiful, mindfully observed details, the most memorable characters of my reading life, a ghastly traveling circus, a Victorian regional theatre troupe, homely people who are irresistible, and a Jungian analysis. In only three novels! I don't think I am, myself, ideal book club material (too shy and too opinionated), although I make my own pigs-in-blankets and that does, as my mother always said, make a nice impression. In my book club: the narrator of Grace Paley's wonderful short story Goodbye and Good Luck, Laurie Colwin, and James Baldwin—because in this book club, people know how to read, talk, spin, amuse, examine, reveal, and be. I love the word "loathe." It conveys everything I wish it to as it drips upon and maims the object. Also, it's such an odd, drawling, English word for a girl from Great Neck to use—it make me smile, even as I'm expressing deep disdain. I hate the following words, and I hate them so much, I think the reasons must be obvious: classy, princess, moist, vat, special, vegan, challenged, yummy, and amazeballs. What’s the one book you love to give as a gift and to whom do you give it? The Robertson Davies trilogy. Also, Phillip Pullman's His Dark Materials trilogy which is, for my money, an extravagant, other-worldly, nine layer, dessert delight compared to the Harry Potter's scoop of chocolate with some sprinkles. I also give Ezra Jack Keats' The Snowy Day because it's an affirmation of the truest kind and lifts the spirits. This is tough because all I did as a kid was read. I broke a tooth in kickball; I almost took my eye out baton twirling. I read Alcott and Dickens and A.J. Cronin and Nancy Drew and Rosamund Pilcher. I believed that if the world saw me as I was, it would see Sydney Carton of A Tale of Two Cities. Every great travel book, guide, or essay collection—that's not about hiking in England or Northern Europe—delights me. The Great Railway Bazaar by Paul Theroux, As They Were by M.F.K. Fisher, Black Lamb and Grey Falcon by Rebecca West, and Down the Nile by Rosemary Mahoney. It would be what's called literary fiction. I would miss the hell out of my cookbooks, mysteries, travel books, children's picture books, and collections of poetry. What would I do without my Janes, Kenyon, and Hirshfield? I figure that if I knew the only-one-genre-apocalypse was coming, I would memorize a bunch of poems. But I would go with the novels. I've got centuries to choose from, beginning with The Tale of the Genji to whatever came out last week. 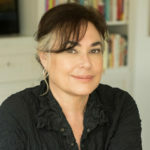 AMY BLOOM is the author of Come to Me, a National Book Award finalist; A Blind Man Can See How Much I Love You, nominated for the National Book Critics Circle Award; Love Invents Us; Normal; Away, a New York Times bestseller; Where the God of Love Hangs Out; and Lucky Us, a New York Times bestseller. Her stories have appeared in The Best American Short Stories, O. Henry Prize Short Stories, The Scribner Anthology of Contemporary Short Fiction, and many other anthologies here and abroad. She has written for The New Yorker, The New York Times Magazine, The Atlantic Monthly, Vogue, Slate, Tin House, and Salon, among other publications, and has won a National Magazine Award. She is the Shapiro-Silverberg Professor of Creative Writing at Wesleyan University.